Gov. Hogan addresses MBRG luncheon. Photo by Governor’s Office. 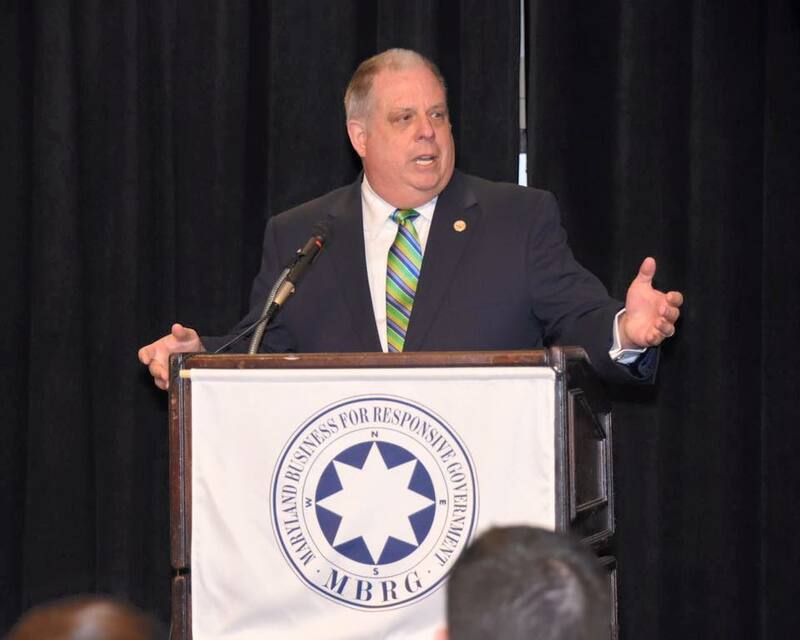 “Tell them that we can’t afford to turn back to the same failed policies that got us into this mess in the first place,” Hogan told a packed ballroom at the Turf Valley Resort in Ellicott City for a luncheon put on by Maryland Business for Responsive Government. Hogan sounded familiar themes that he used in other speeches, particularly sympathetic business groups like MBRG. This year’s MBRG luncheon brought out several hundred more people than last year’s event. Hogan’s list of accomplishments included tax relief, toll cuts, elimination of structural deficits, reducing regulations, increased spending on highways, and a proposal to eliminate partisan gerrymandering. 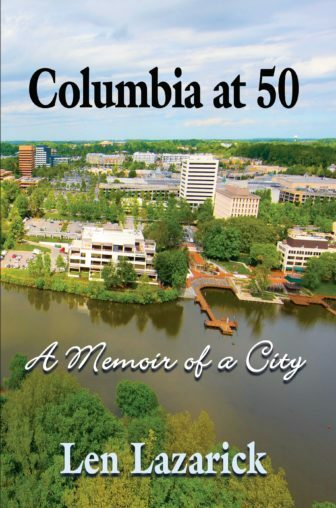 As he often does, he took credit for repeal of the “rain tax,” though several counties, including Howard, still charge the stormwater management fee no longer mandated by the state. The governor said that Marylanders now believe the state is heading in the right direction — a finding of recent polls — with jobs growing and the economy improving. His speech seems to need a little fine tuning at this stage of the legislative session. He said besides a $1 billion rainy day fund, his budget provided for a cash balance of $450 million, but his three supplemental budgets have reduced that estimated surplus to $303 million, according to a press release from his office last week. He also talked about his proposal to reduce business filing fees by two-thirds. But the House Economic Matters Committee had already voted down that proposal to reduce the annual fee from $300 to $100 over four years. This annual fee for the privilege of doing business in Maryland was raised in the Ehrlich administration.